What’s your biggest challenge in retirement, besides making your money last for your lifetime? It’s taking retirement plan distributions in such a way as to best minimize income tax so more money is left for you. It’s tough to make generalizations about the right way to do this because people own retirement assets in vehicles with different tax characteristics. Following are three retirement plan distribution scenarios. 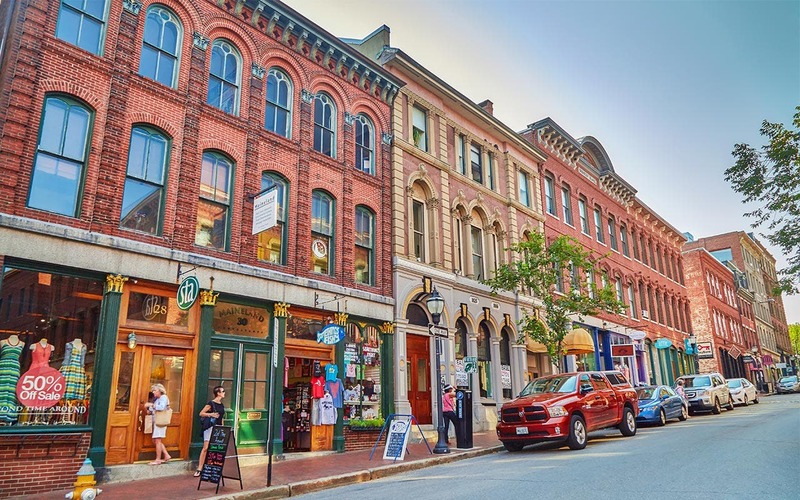 Assuming that tax rates don’t change drastically in the foreseeable future, let’s look at the best way to take distributions when retirement assets are invested in various vehicles, including pretax accounts such as traditional 401(k) plans, individual retirement accounts and pension plans; after-tax vehicles such as Roth IRAs and Roth 401(k)s; and nonretirement vehicles, such as a brokerage account containing stocks. “The name of the game is planning. A builder doesn’t build a house without a blueprint. A retiree can’t navigate a multidecade retirement without one either. 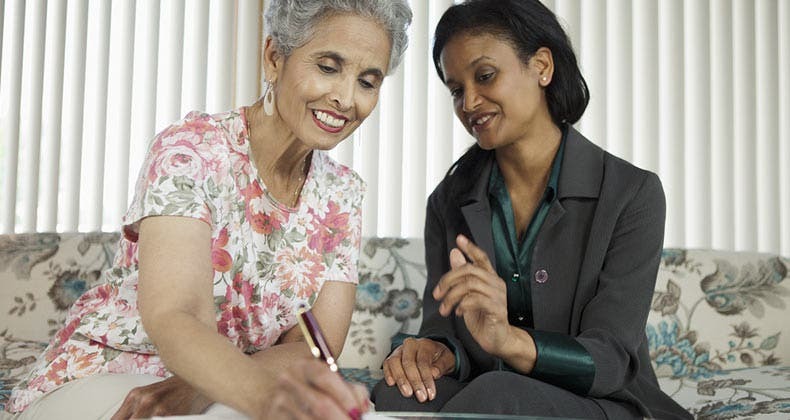 One key tool in that planning toolbox is minimizing taxation,” says Rob O’Blennis, Chartered Retirement Planning Counselor at The Retirement Planning Group in Overland Park, Kan. In this scenario, Bankrate’s hypothetical couple has invested all $600,000 of their nest egg in a traditional, pretax 401(k) plan and traditional IRA, or they have a traditional pension plan with annuity payments. Our hypothetical couple has $400,000 of their nest egg invested in a traditional, pretax 401(k) plan or traditional IRA and $200,000 in a Roth 401(k) plan or a Roth IRA. 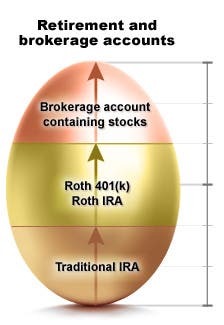 In this scenario, Bankrate’s hypothetical couple has evenly divided their nest egg into three parts: $200,000 is invested in a traditional pretax 401(k) or IRA, $200,000 in a Roth 401(k)/IRA and $200,000 in a regular brokerage account containing stocks. “This scenario has the least number of moving parts and leaves little opportunity for planning. 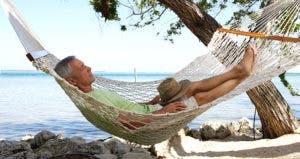 When all your retirement savings is pretax, income over and above Social Security simply comes from your IRA,” says Rob O’Blennis, Chartered Retirement Planning Counselor at The Retirement Planning Group in Overland Park, Kan.
“This is by far the most tax-inefficient of the scenarios, as every dollar that is distributed from the retirement plans will be taxable,” says Certified Financial Planner professional Richard Reyes of The Financial Quarterback in Maitland, Fla. When it’s time to take retirement plan distributions, however, the government wants its tax money. It’s the same with distributions coming from a defined benefit plan, otherwise known as a pension. Pension payments are taxable at the time of receipt. For IRAs and 401(k) plans, required minimum distributions, or RMDs, take effect for everyone who owns these accounts. 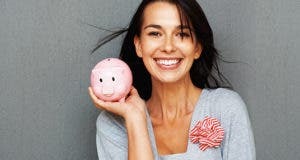 This rule is slightly different depending on whether you have an IRA or a 401(k). For IRAs, RMDs must begin no later than April 1 of the year following the calendar year in which you reach age 70 ½. 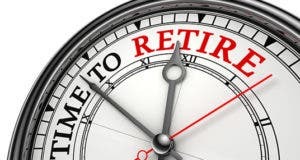 For defined contribution plans, RMDs must begin no later than April 1 following the later of the calendar year in which you reach age 70 ½ or at retirement. However, to take advantage of the delay to actual retirement (assuming you retire after age 70 ½), the plan itself must allow you to do so. If not, then the default rule applies. “If the retiree was 62 when they retired and that $600,000 is growing at a rate of 6 percent while taking an $18,000 yearly distribution, the account will grow to approximately $810,000 by age 71,” says Reyes. If payments come from a pension in the form of annuity payments, there’s an additional wrinkle to consider. Does it have cost-of-living adjustments? “If not, over time inflation will eat into distributions,” says Reyes. 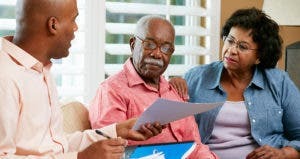 With respect to assets held in a 401(k) or IRA, Dan Yu, managing principal, CFP professional and Certified Investment Management Analyst at EisnerAmper Wealth Advisors, recommends that you “make sure that the asset allocation in your accounts are addressed and adjustments made the closer you get to retirement.” By the time you approach age 70, your fixed-income holdings should range from 70 percent to 75 percent, he says. When deciding how much of a distribution to take from a traditional IRA, it is important to determine how much tax to withhold first. “If your effective tax rate is 10 percent, you would need to withdraw $20,000 to get $18,000 after tax; the other $2,000 could be set up to go to Uncle Sam,” says Mike Piershale, Chartered Financial Consultant and president of Piershale Financial Group. Bankrate’s hypothetical couple has $400,000 of their nest egg invested in a traditional, pretax 401(k) plan or traditional IRA and $200,000 in a Roth 401(k) plan or a Roth IRA. The distribution is made either on or after the date you reach age 59 ½; when you become disabled; or it is made to a beneficiary or to your estate after your death. 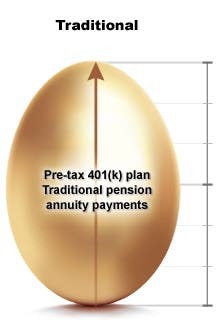 “This scenario will allow the retirees to lower their taxes over time as they will be making distributions from both a traditional IRA and a Roth IRA,” says Certified Financial Planner professional Richard Reyes of The Financial Quarterback in Maitland, Fla.
As discussed in Scenario 1, distributions from traditional IRAs or 401(k) plans can only be delayed until age 70 ½ — or delayed until retirement, if the 401(k) plan allows — at which point required minimum distributions must begin. 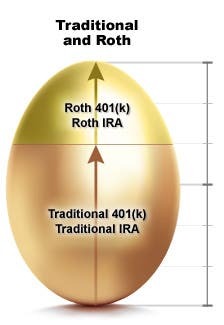 With Roth IRAs, RMDs are never required. 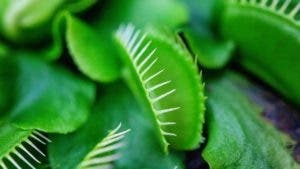 However, with Roth 401(k)s, requirements for distributions mirror those of regular 401(k)s — they must be taken by age 70 ½ — unless you roll the account directly into a Roth IRA. In that event, RMDs are not required. A taxpayer could just draw money from the Roth to keep taxes to a minimum, says Rob O’Blennis, Chartered Retirement Planning Counselor at The Retirement Planning Group in Overland Park, Kan. “Savvy taxpayers should determine whether they can distribute some funds from their pretax IRA with minimal tax burden and take a distribution equal to the difference from their Roth,” he adds. Doing so will minimize the taxpayers’ adjusted gross income, keeping them in the lowest tax bracket. He adds it’s important to note that taxability of Social Security is based on total taxable income. If you remain under a certain threshold, you don’t pay any income tax on Social Security benefits. However, if your taxable income exceeds that threshold, your Social Security benefits will be taxed, starting at 50 percent of benefits and going up to a maximum of 85 percent of benefits. 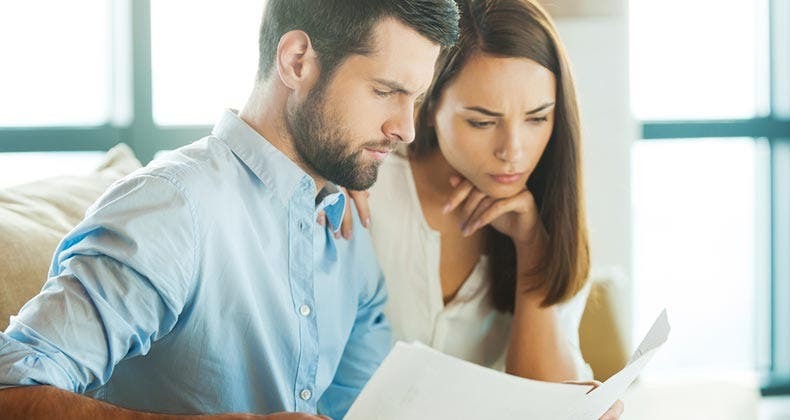 A married couple filing jointly with taxable income exceeding $32,000 will see up to 50 percent of their Social Security benefits subject to tax. A mix of pretax and Roth investments helps solve this tax issue. For example, assume this couple takes monthly distributions of $650 from a traditional IRA. That works out to be taxable income of $7,800 from the pretax IRA plus $24,000 from Social Security for the year, or $31,800. This neatly comes in under the $32,000 taxable income threshold for married couples. The additional $10,200 income from a Roth IRA won’t affect the outcome because Roth distributions are not taxable. 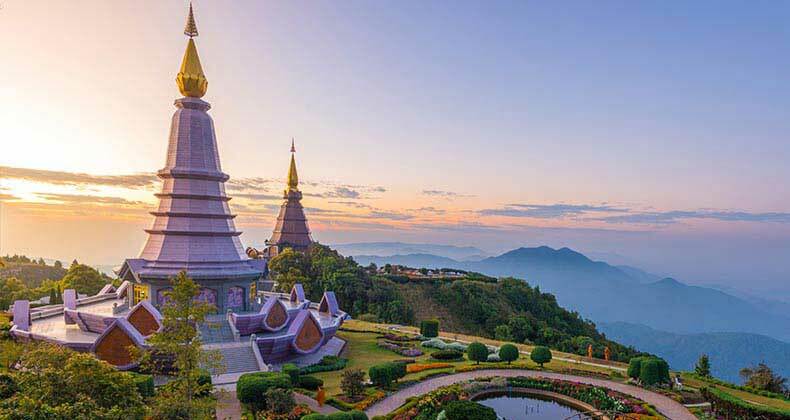 In this scenario, Bankrate’s hypothetical couple has invested $200,000 of their nest egg in a traditional pretax 401(k) or IRA, $200,000 in a Roth 401(k)/IRA and $200,000 in a regular brokerage account in such investments as stocks, bonds and cash. However, when you sell the stock, if you have held that stock for at least one year, you will pay a lower long-term capital gains tax. Long-term capital gains attributable to stock are currently taxed at zero percent or 15 percent for most taxpayers. Short-term capital gains are taxed at ordinary income rates. However, not all advisers agree. 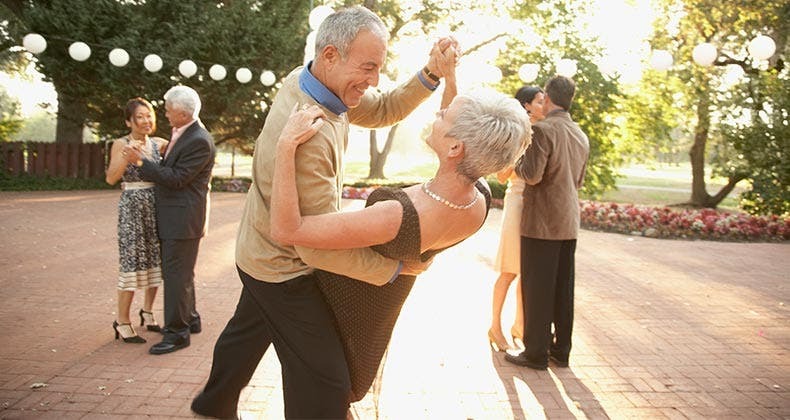 “Many people want to leave their traditional IRAs completely alone until they reach age 70 ½, when in fact they may be able to take some distributions at a lower tax bracket if they take some funds in earlier years before they reach 70 ½, when forced distributions might put them in a higher bracket,” says Lynn Mayabb, CFP professional and senior managing adviser of BKD Wealth Advisors. He suggests putting the most aggressive assets in the Roth portion of your portfolio and touching those last. Meanwhile, holding the bulk of your tax-inefficient investments, such as bonds, in a traditional IRA, makes sense since it’s taxed at ordinary rates anyway.